The flat has two bedrooms. The sizable living room with 40in TV and lots of international channels can also be used as a further double room. Apartment boasts wonderful views over a traditional square in The Jewish Quarter. Everything you could possibly need is within easy reach. There are an abundance of diverse restaurants (including Thai/Japanese one in the building ) to suit every taste alongside local markets, bars and local landmarks. Nice big apartment in a great location. Everything you need, comfy beds, nice furniture. We were met at the apparent by Andrzej and given a phone number in case of any problems. The accommodation suited our needs. Easy access to trams, shops and restaurants. 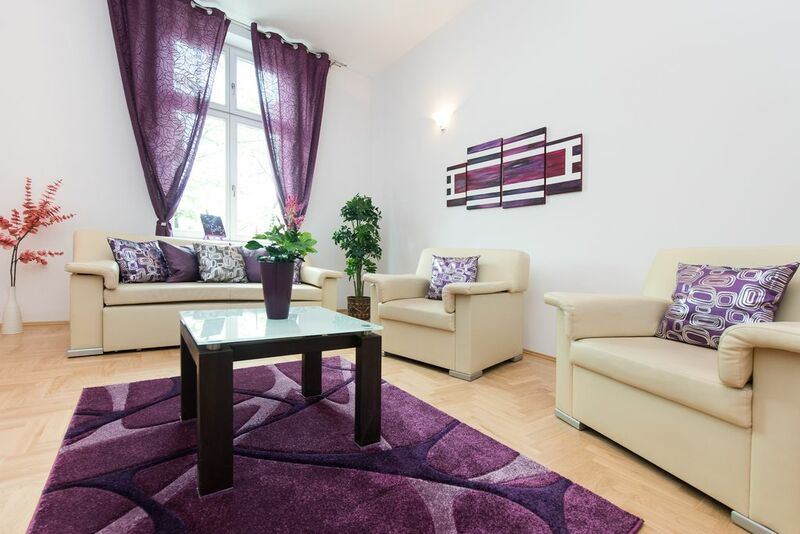 The apartment was clean and well presented, convenient for Kazimierz and the Old Town. First impression of the apartment was positive, with just the 2 of us staying it was very spacious, the large windows allow plenty of light. The second bedroom is an unusual arrangement being beyond the kitchen, though this did not present a problem. The apartment is situated in Plac Wolnica, this is a lively part of Kazimierz and the night life continues late, there are plenty of restaurants and bars nearby. Krakow is compact and Wavel Castle and the Old Town are within easy walking distance. Appartement très bien placé, très propre, clair et donnant sur une place. Appartement très bien placé, très propre, clair et donnant sur une place. Les lits sont confortables. Transports, commerces, restaurants à proximité, vieille ville à 10-15 minutes à pied. La cuisine/salle à manger est un peu sombre (la lumière dépend de la fenêtre d'une chambre) mais c'est un excellent rapport qualité/prix.